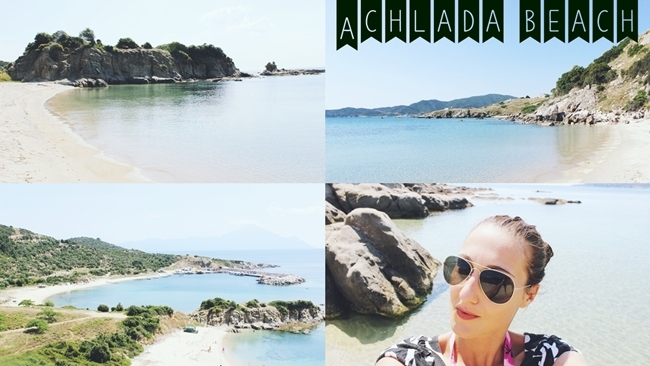 Some time ago I wrote on the blog about Achlada beach (read here), and today I'm sharing with you one short video of this beach! Hope you like it! If you want to see more travel videos, visit my YouTube channel! Pre nekog vremena sam na blogu pisala o Achlada plazi (procitajte ovde), a danas sa vama delim jedan kraci video! Nadam se da vam se dopada! Ako zelite da vidite druge travel snimke, posetite moj YouTube kanal! Wow... very nice! These beaches are about as beautiful as you are. Another nice job of video and photo work showcasing the beauty of Greece.